Once an old German university town, the medieval city of Freiburg on the western edge of the Black Forest was a Franklin & Marshall College senior’s inspiration for her research on the ethical implications of public transportation. 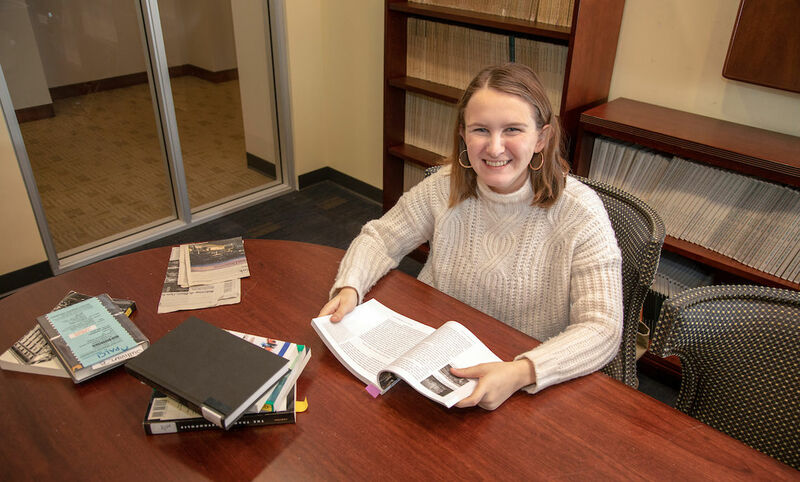 A native of Houston, a sprawling metropolis where a car is necessary to get most places (the city opened a 13-mile light rail line in 2004 and efforts to expand it are underway), Bonnie Sullivan spent her spring semester as a junior studying abroad in Freiburg. In the United States, the government major and environmental studies minor used the subway and bus systems when she visited Washington, D.C. and New York City, but in Germany she relied on trams and trains that were most people’s chief mode of getting around. Because public transportation addresses issues of accessibility, economics and freedom, “it’s more than just something that should be defined in the market context,” Sullivan said. With an eye to a career in urban studies, Sullivan examines such issues as how public transportation reduces pollution, where it falls in supply-and-demand patterns when innovations like Uber are created, and the effects of political opposition such as the national anti-transit movement, backed by wealthy industrialists Charles and David Koch.